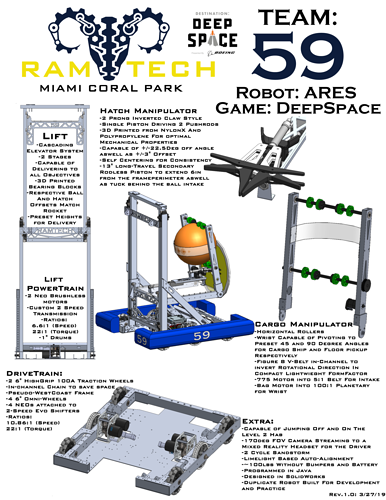 My Team and I decided to whip up a poster to Display in Pit and Handout to judges at half scale. Poster looks really cool! One piece of feedback would be to give everything a bit more spacing. Right now it feels a little cramped, especially with the text getting really close to the main robot render in the middle. 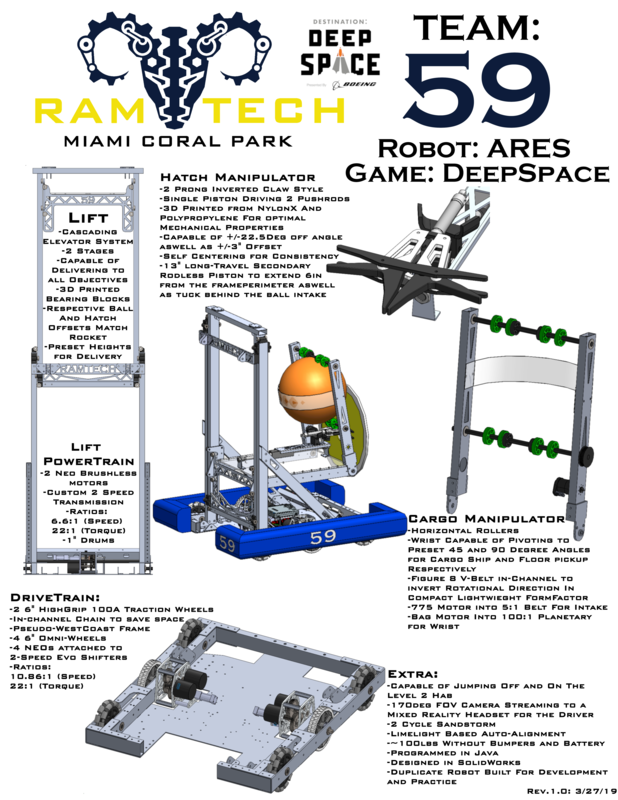 I might have to look into making a poster for our robot, I think it’s a great way to highlight all the robot functionality. If we qualify for nationals I’ll spend some time rearranging it, making things fit nicer, especially since we wanted it to fit in an 11x8.5. It’s a nice addition to any teams’ pit, for judges, pit scouts and reminding your own pit of talking points. Add a little more color to the poster if possible. A little too black and white (for us colorblind people that is perfect). Shorten up the description of the manipulators and that. Show the poster to the judges and other members from other teams…and explain those functions and show them each of those parts on the poster.